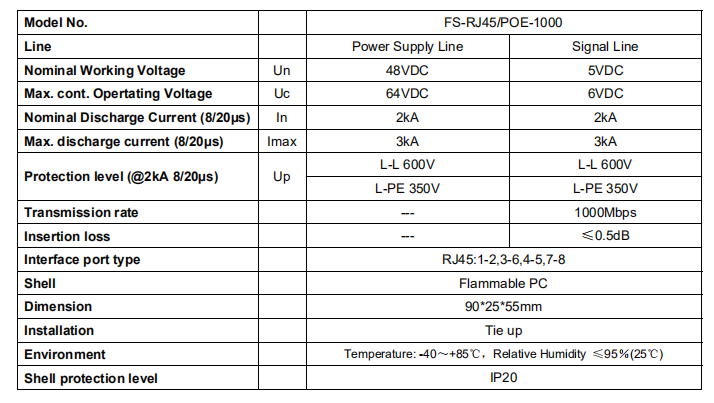 - DIN Rail RJ45 PoE surge arrester 1000M, suitable for application of POE cable-powered server, wireless AP, network cameras, network switches and other communications equipment supply, network signal line surge protection, integrated design, easy installation. 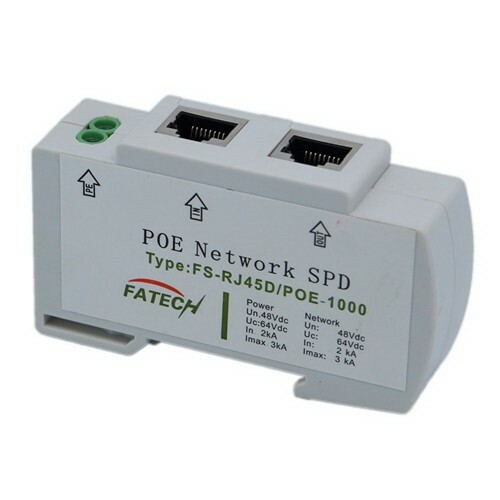 - Adopt power supply + signal surge protection integrated design. - Use high quality main component with excellent performance. - Small insertion loss, good trnasmission rate. - Low residual voltage, efficient surge protection effect. - Fast response, stable performance, reliable working. - Small size, DIN Rail installation, convenient application, maintenance free.